See our range of Tweed Cat products for sale. From Harris Tweed Cat collars & leads, to stylish tweed Cat beds, awesome Cat igloos & more. 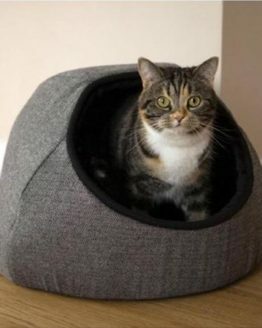 Buy a stylish Tweed Cat cave and treat your feline friend to a great nights sleep.